Dr. Stan Shelton grew up in Beaumont, Texas where he obtained his undergraduate degree from Lamar University. He then moved to San Antonio to attend Dental School at the University of Texas Health Science Center. 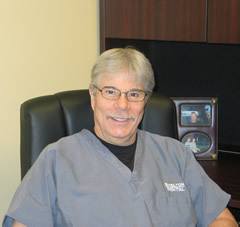 After graduating in 1981, Dr. Shelton spent several years as an associate. In 1985, he started his private practice. Dr. Shetlon is an active member of the American Dental Association, Texas Dental Association, San Antonio District Dental Society, and the American Orthodontic Society. He is also a graduate from the Kois Center for Advanced Dentistry in Seattle Washington. In addition, Dr. Shelton has earned his Master’s from the Academy of General Dentistry.